I’m writing all about my adventures in Detroit this week. If you want an introduction to why I’m writing about Detroit, read this. Make sure you follow along all week. Lots of great stories to share and a Made in Detroit giveaway to wrap up the week. A friend recently said to me on my Instagram feed, “OK, seriously. You need to stop with the pizza IGs!” I know she was kidding, but she might have been right. I found so much great pizza in the Great Lakes region. It seems thin crust gluten-free pizza is easy to find these days. But finding something close to deep dish pizza? Not nearly as easy. 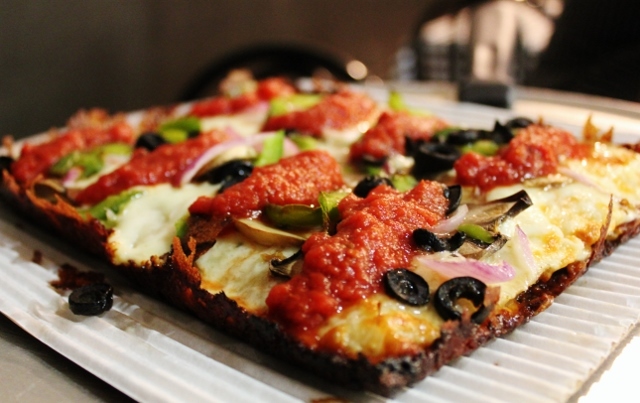 While researching gluten-free food in Detroit, I came across the website for Detroit Style Pizza Co. and knew we were going to eat there after just one look at their website. What made me so certain we were going to eat there? Gluten-free Detroit-style pizza. Not familiar with that? Detroit-style pizza is baked in a square pan and is a deeper-dish crust. I say deeper-dish because it’s not as thick as what I sometimes see as deep dish, but it’s also definitely not thin crust pizza. 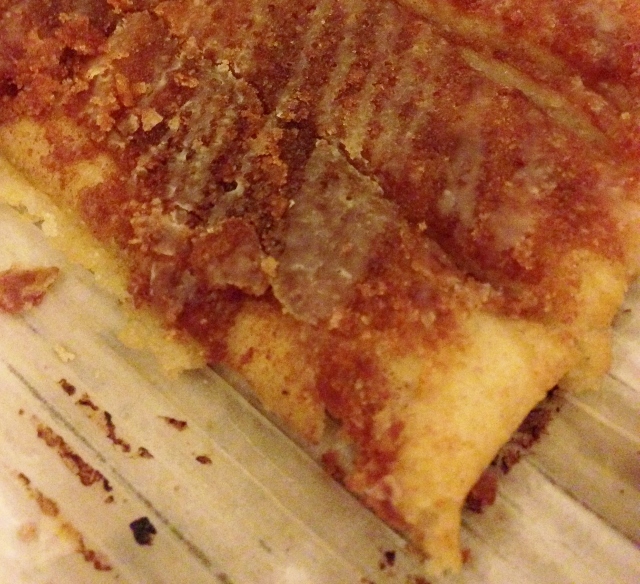 The bottom and sides of the crust get kind of crispy while baking. Toppings are tucked under cheese and marinara sauce is put on top. The crust, while crunchy around the edges, is chewy and soft in the interior. The story goes that the pizzas weren’t originally baked in pizza pans, they were baked in parts trays made of blue steel from factories, hence the square shape. I don’t know if that’s true or not, but that is the story folks tell. It should also be noted my friend Carey, who I mentioned here, told us to go to Buddy’s for pizza. Buddy’s is credited with inventing Detroit-style pizza and was recently listed as one of the best pizza places in the U.S. They, too, have gluten-free crust. So many good eats in Detroit! Ok, so back to Detroit Style Pizza Company. 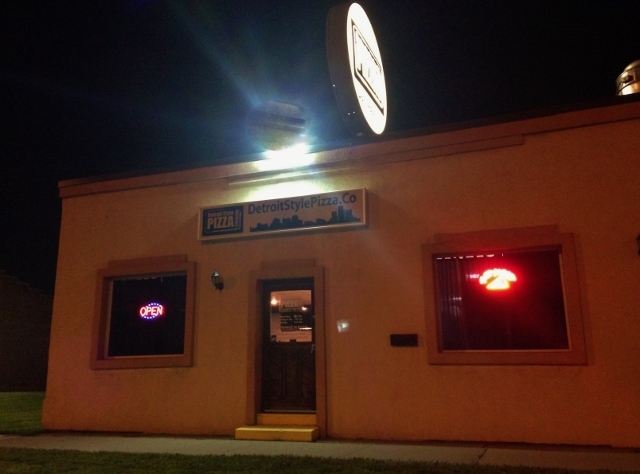 Their menu offered gluten-free pizza, cheese bread and cinnamon breadsticks. We decided we would get all three and have our pizza done up veggie style. Check out the cheese bread. Cheesy, the bread part so perfect that I could hardly wait for our pizza to come out. 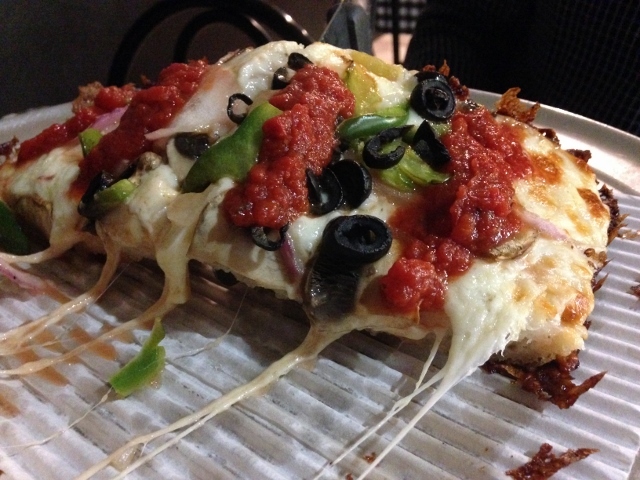 Here’s the scoop on the gluten-free crust and handling of gluten-free orders at Detroit Style Pizza Co.: the owner’s wife has Celiac disease. The kitchen is designed so the crust doesn’t come into contact with any surface that could have gluten on it. Same with pans, utensils and pizza cutter. I asked about this and the kid taking our order looked puzzled when I told him not everyplace that serves gluten-free pizza takes as much care. He said they do it right AND I could even order a pizza and have it shipped to my house. Oh, now that’s tempting! Late that evening, we finally had room in our bellies to eat our cinnamon breadsticks. Hours later, cold in the box, they were still insanely delicious. Sweet, lots of cinnamon, a drizzle of frosting. Perfect for a late night indulgence. One more quick thing before I go: I saw on Detroit Style Pizza Company’s website that they have pizza parties for kids where they get to learn about the history of Detroit-style pizza and get to make their own pizza. You know what I wanna do, right? Yep, next time I’m in Detroit I want to see if they would hold a gluten-free Detroit-style pizza party for a bunch of us big kids. Learn about pizza history, make our own pizza, hang out with other gluten-free folks. We should totally do this, friends! Let’s go to Detroit and have a gluten-free pizza party. Eat With: Minimal Caution. The staff seemed very comfortable with handling gluten-free orders and maintain separate utensils and a prep area to minimize risk of cross-contamination. 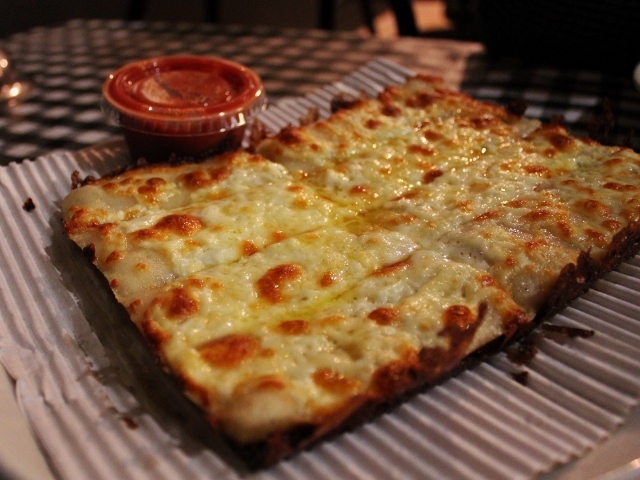 Detroit Style Pizza Company has three locations. The location we visited is located at 29347 Gratiot in Roseville, MI, 48066. 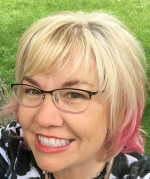 586.439.0575. The two other locations are in St. Clair Shores and Charter Township of Clinton. Exact addresses are available on their website. Detroit was a great place for a vacation, Shirley. I can’t wait to go back. Come along, we’ll make that pizza party happen! so far i haven’t had a gluten free crust on anything i like but i’m always up to try it. these do look good. Gluten-free crust is tricky, hence the cracker thin crust that is usually offered. This was the thickest crust I have had gluten-free and it was terrific.